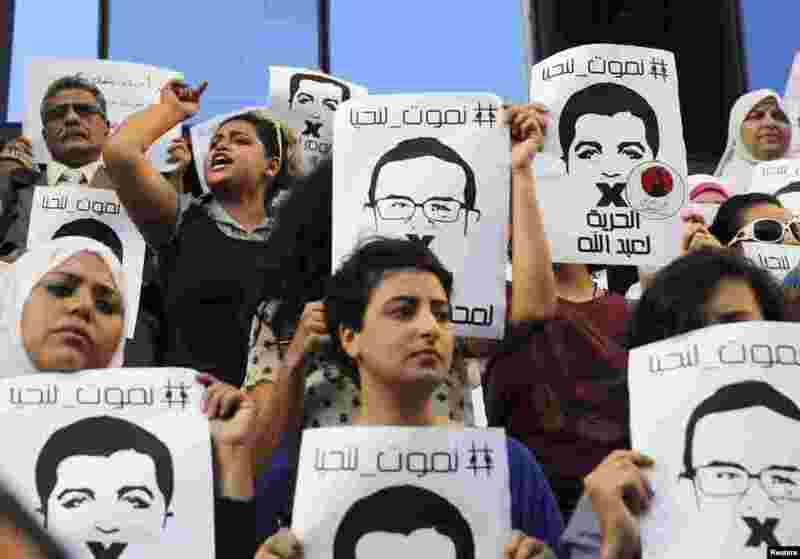 1 Protesters rally in front of the Press Syndicate in Cairo in support of Al Jazeera journalists Abdullah al-Shami and Mohamed Bader, who were detained by Egyptian authorities. 2 Canada's Milos Raonic celebrates winning the fourth round match of the French Open tennis tournament against Spain's Marcel Granollers at the Roland Garros stadium, in Paris, France. 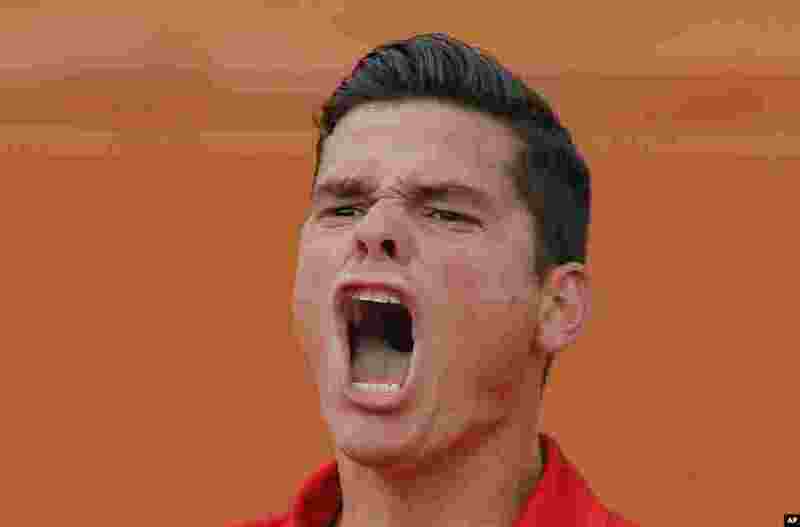 Raonic won in three sets 6-3, 6-3, 6-3. 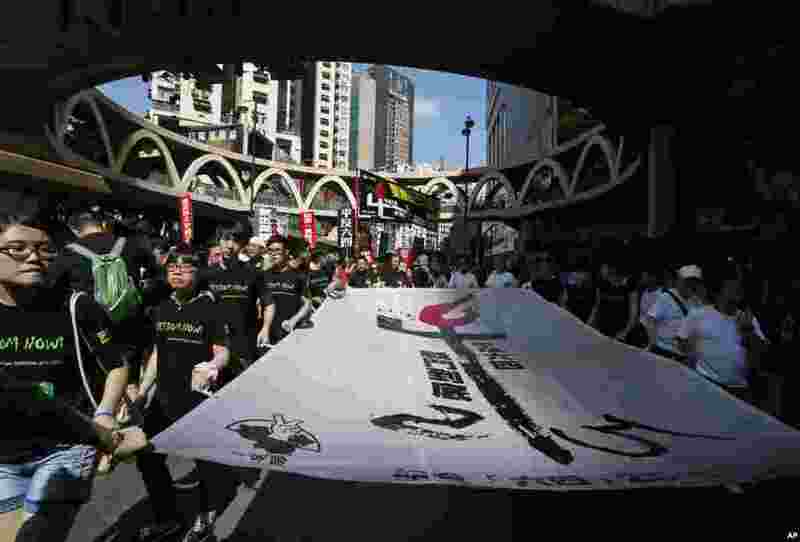 3 Protesters carry a huge banner with Chinese words "Exonerate the June 4 Protest" as thousands of people march on a downtown street in Hong Kong to mark the 25th anniversary of China's bloody crackdown on Tiananmen Square on June 4, 1989. 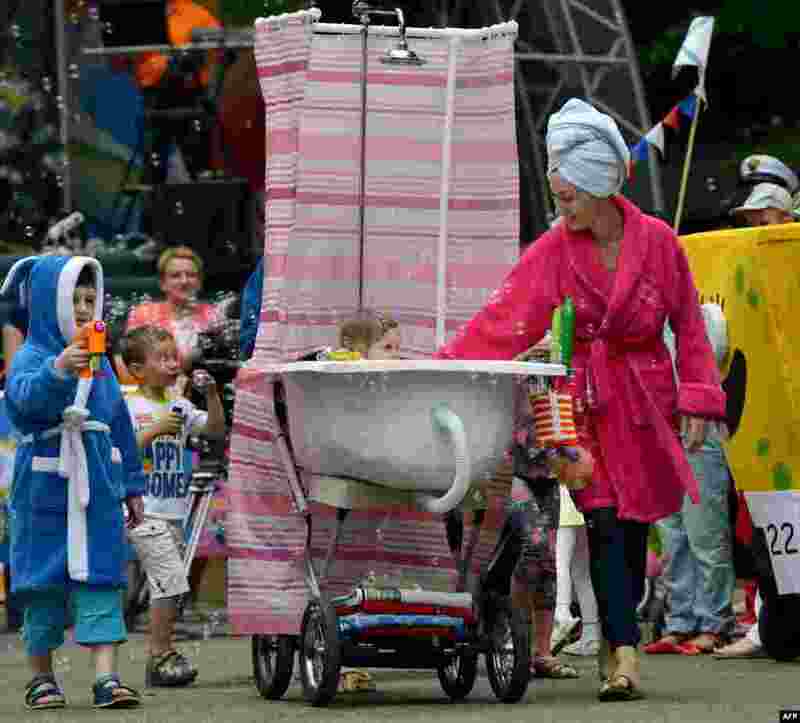 4 A father pushes a self-made stroller designed to figure a bathtub during a "stroller parade" contest, as part of the celebrations for the International Children's Day in Stavropol, southeastern Russia.